When first hearing the Publicis and Omnicom merger rumours you could have been forgiven for thinking it to be some silly season gossip. But as we know POG is not a passing fancy, it is for real. Hats off to Maurice Levy who has consistently shown his ability to be daring, decisive and dynamic just when people least expect it. The announcement was made in Paris, not New York. 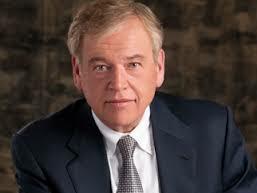 The Group will be called the Publicis Omnicom Group, not the Omnicom Publicis Group. The revenues of Publicis Groupe are some way below those of Omnicom Group though their market caps are much closer, but it will be a merger 50/50 owned by the two companies shareholders. After the dust has settled and the merger is done, the silly co-CEO thing is finished with and the company starts to operate normally, the CEO will be John Wren, from Omnicom, the CFO likely to be Randy Weisenberger from Omnicom, the ticker marker on the NYSE will be OMC and largest market for the combined entity will be the USA. Once the incredulity subsides, you can see the attraction to Maurice and John. And as the above simple summary shows, you can see the game that is being played by both to get the other to agree to the deal. The former gets to show the French establishment what world class really means, a brilliant retirement gig as non executive Chairman of the world’s number one advertising group and without having to go through with the charade of making good his oft delivered promise to Jean-Yves Naouri to be his successor. The latter, within 30 months, gets to run something nearly double the size of OMC today, in seriously good shape in Digital and Emerging Markets, the number one ad agency of the number one spending client in the world – P&G who had only just taken most of their business from OMC – and all without the pain and risk of taking the long road there. For a start there is precious little in the announcement about WHY this is better for clients. We can see it’s better for doing deals with the big media partners, old and new. Scale counts there. But when the bulk of the enterprise’s activity is still about finding, creating and executing inspirational ideas to motivate the world’s population to choose one brand over another brand, there is a point beyond which scale can actually be a disadvantage – talent feels lost, ideas get killed by people who have no idea what the clients’ needs are and everything takes too long and costs too much. Well that’s what a large number of large clients have been telling me this past two years since I left Paris as COO of Publicis Worldwide. There is also the small matter of the $500m savings mooted in the announcement. 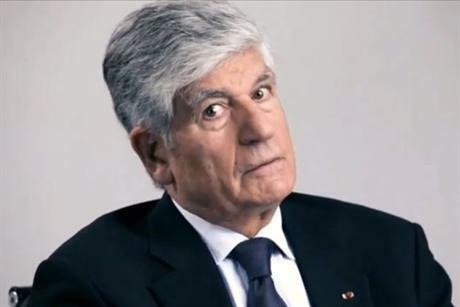 Publicis Groupe runs lean. Margins are already industry best. So the chances of finding much of the savings there seem slim. 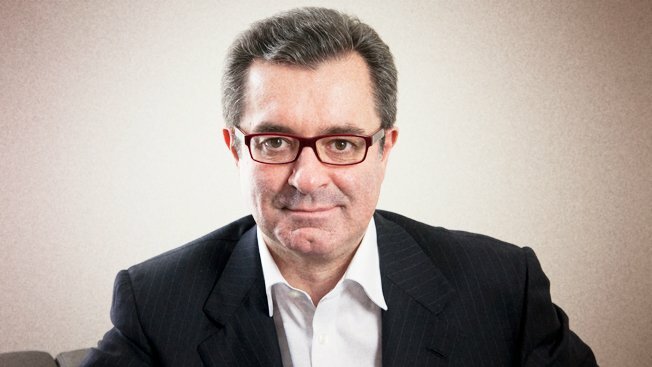 It will be interesting to see how the board of BBDO reacts to the likely loss of their top tier international travel rights, or the agencies of DDB cope with tough bonus rules that tie every unit in the company to the performance of those around them, as happens at Leo Burnett or Publicis today. As a footnote on the winners and losers, spare a thought for those who fought, lost and thought they had won in the long-running soap opera called Maurice Levy’s succession. Just as the game looked like it would soon be over, the sport got changed and everything was different. It will also be fascinating to see what WPP do about this. They have got used to being the world’s largest and Sir Martin is rarely quiet for long on any topic, let alone one so close to home. Bookies will surely be giving poor odds on a shotgun WPP/IPG or WPP/Havas union. And me? Well as client choice reduces, the need for new global alternatives will continue to increase. It’s why we started The House Worldwide and it’s why we think it will be increasingly relevant to clients who want to get back to a world where the client and the brand are more important than the agent promoting it, and where the money is better off going to the talent than to the accountants counting it. Bigger and smaller, that’s the future of the ad network game. Richard Pinder is co-founder and CEO of The House International. He was formerly the head of Publicis Worldwide. If what I hear is correct, Scott Goodson, chairman of micro-network Strawberry Frog, hasn’t been kissing enough princes lately. The mercurial Goodson – famous for saying his agency wasn’t up for sale, while putting the finishing touches to a deal with PR group APCO – has had a bust-up with his Amsterdam agency, Media Catalyst. That’s Amsterdam agency number two. He also managed to alienate Amsterdam agency number one, headed by SF co-founder Brian Elliott, which now trades as Amsterdam Worldwide. And then he fell out with his Brazilian partner, Alexandre Peralta, of Peralta Sao Paulo – an agency that has gone on to rather greater achievement without him. So, there’s a bit of history to this kind of thing. But I digress a little. The latest split is unusually serious, because SF Amsterdam/Media Catalyst is the lead agency for SF’s backbone client, Dubai-based Emirates Airline – one of the world’s largest. The Frogs won the account against considerable competition from the likes of BBDO and Grey, back in 2010. And what an account to win: lead agency for a global rebranding campaign worth (according to AdAge at any rate) $300m. This wasn’t just a feather in the cap, but full plumage for a small digitally-inspired creative boutique making its way in the world. Timely sticking plaster as well, given the above-mentioned ructions going on elsewhere in the organisation. It’s important to point out that most of the credit for winning – and retaining – this account seems to have been down to Amsterdam CEO Hans Howarth, the majority shareholder in Media Catalyst. Goodson, with his habitual talent for self-publicity, owned about 30% of the agency from which he has now been ejected, but somehow managed to maximise most of the plaudits. The Emirates brief was to turn the airline into an aspirant, lifestyle brand (isn’t one enough in the world?) and SF duly delivered with “Hello Tomorrow”, announced with great pizzazz last April by Sir Maurice Flanagan, executive vice chairman of Emirates Airline : “Our new corporate image and global marketing campaign both underline the confidence we have in our existing products and services, and the vision we have for the future growth of the airline. Emirates is not just offering a way to connect people from point A to point B but is the catalyst to connect people’s hopes, dreams and aspirations.” What this boils down to is getting a younger “audience” hooked on the brand by dextrous use of social media. Only last month, Omnicom – in the guise of BBDO New York and Atmosphere Proximity – won Emirates North American business, against competition from WPP’s Grey and JWT. At the time, we were assured that the pitch would not in any way affect Strawberry Frog’s tenure of the global branding account. But that was before news of the split with Amsterdam broke. It would be surprising if some of these agencies’ biggest guns are not, at this very moment, on a Boeing 777 heading for Dubai airport. An Emirates one, naturally. Where all this leaves SF – apart from picking up the pieces – is anyone’s guess. WPP chief Sir Martin Sorrell has rightly been basking in the reflected glory of the Cannes sunshine. Three successive years, three successive triumphs as holding company of the year at the International Festival of Creativity. It’s the pinnacle moment for a strategy – his own as it happens, but one for which worldwide creative director John O’Keeffe has done all the hard implementation – designed to kick into touch that old myth about Omnicom’s creative supremacy. Martin, they used to say, has Asia (meaning he’s a shrewd strategist) but John (Wren, Omnicom CEO) has all the brands. Not any more. In the eternal battle for Cannes “statues”, WPP notched up a convincing lead of 2067 points over Omnicom, in number two position with 1552. 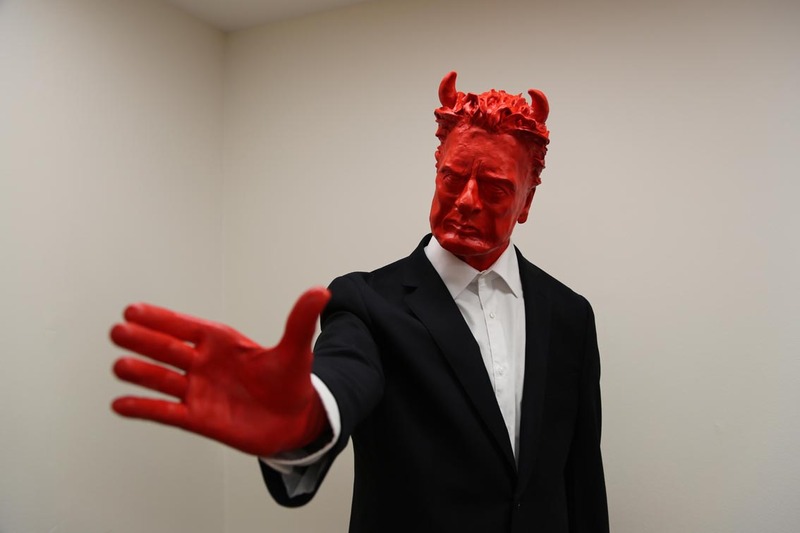 Publicis Groupe trailed in third place with 989.5 (where did that half-point come from? No idea). Just to rub the triumph in, a leading WPP agency, Ogilvy & Mather, became the first network ever to win more than 100 lions and its Sao Paulo shop was named agency of the year. So now Martin can boast about having the brands, as well as Asia. Which is more than Alexander the Great could ever do. More of that in a moment, though. First, let’s get down and dirty with some relatively boring Cannes festival award technicalities. The substance of de Nardis’ complaint is that WPP media company GroupM has massively over-claimed in putting out a statement – last Wednesday – saying it had won 45 awards, more than any other media agency holding company. Not nearly so, according to Omnicom. Thirty of the Lions (i.e., awards) claimed by GroupM are not verified on the Cannes Lions winners’ website. Doh? Well, a majority of GroupM’s wins should be disqualified because its subsidiary agencies were not specified in the original competition entry. WPP may well have won something, on the creative side, but for whatever reason, failed to catalogue the media achievement. After the wins were announced, according to Omnicom, GroupM assiduously went back to each entrant agency and requested they be listed as the media shop for the work. “Gaming the system,” says de Nardis, and a clear violation of the Festival’s rules in spirit if not in the letter (Cannes does make allowance for a few genuine oversights, but not wholesale ones). “Rubbish,” responds GroupM: just a few inadvertent errors and when the Cannes deadline for amended entries is published tomorrow (July 5th), all will be vindicated. OMD, by the way, won 19 awards, which are seemingly confirmed on the Cannes website. So, if we subtract 30 from GroupM’s claimed 45, we can see that OMD has everything to play for. All this might seem a storm in a teacup to most readers. But fuelling Sorrell’s irritation is some history. Mainardo de Nardis was once a senior WPP executive and the relationship with Sorrell did not end pleasantly. Specifically, de Nardis headed WPP’s CIA.mediaedge, these days called MEC, before leaving for Aegis in 2006. Ironically, in view of what has come later, it was WPP which accused de Nardis of not abiding by the rules. Indeed, it became so convinced that de Nardis was playing a double game – working for a rival while still on WPP gardening leave – that it issued legal proceedings against him. Interestingly (from a revelatory point of view), the matter went to trial and quite a lot of Machiavellian shenanigans tumbled out concerning de Nardis’ relationship with Marco Benatti, another former WPP executive who was at that time country manager of CIA in Italy. Although they have managed to fall out from time to time, de Nardis and Benatti were (and probably still are) closely tied by family and business interests – for example, they once ran Medianetwork Italia. Benatti was himself the subject of WPP court proceedings, for alleged breach of fiduciary duty in failing to disclose a major holding in an Italian company, Media Club, which he had helped to acquire on WPP’s behalf in 2002. The trial lumbered on until 2008. Anyone interested in the minutiae of these (apparently) dusty events might look here and here. So, nothing personal in this statues kerfuffle, eh? One other thing guaranteed to pour salt into old wounds is the prestigious Chanel account, recently up for repitch. Incumbent media agency? MEC. Prospective winner (according to the gossip at Cannes, possibly generated by de Nardis himself): OMD. Actual winner, declared yesterday: WPP, in the guise of a new bespoke agency, Plus – which harbours elements of MEC and Mindshare in its media-buying element. You are currently browsing the Stuart Smith's Blog blog archives for July, 2013.